Being an immigrant to the United States is a dream for many. 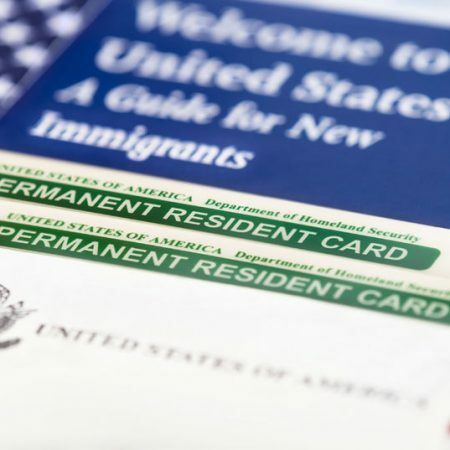 Many immigrants come to the United States for various reasons, such as to join a family that’s already here, a better life, or new economic opportunities. However, the immigration system is complex, challenging, and according to some—broken. That’s why you need an experienced immigration lawyer that can address the issues that arise from immigration and protect your rights and status in the process. Cyril Westcott is an immigrant. A United States resident and citizen for over 20 years, Cyril is sensitive to the needs of immigrants in the Houston area. Moreover, Cyril helps businesses, employers, families, and individuals that are seeking assistance with visas, naturalization, entry, removal, or other immigration-related issues. Mr. Westcott is one of the few elite lawyers in the United States with a Master of Laws (LL.M.) in immigration and naturalization law. He also specializes in crimmigration laws. Every individual and family has unique needs. Therefore, you need a Houston immigration lawyer that is willing to listen, focus on the client, and help the client understand the process and their options in detail. Undoubtedly, your current situation may have you in distress with lots of questions and concerns. It must be remembered, however, that you need an experienced immigration lawyer to answer these questions and address your concerns. As shown above, the immigration system is extremely complex. Going about the process the wrong way can lead to serious unintended consequences, such as delays, or at worse, deportation from the United States. Given these points, it is important that you do not go through the immigration process alone. Without reservation, you need to contact Cyril Westcott, an experienced Houston immigration lawyer, to assist you in this process. Cyril Westcott’s story is inspiring. Arriving at the United States over 20 years ago, Mr. Westcott has served as a businessman in the bourgeoning International District of Houston. In fact, understands firsthand what it is like to be in an unfamiliar place and how challenging it is to secure citizenship, even as a permanent resident. That’s why Mr. Westcott decided to take the problem-solving skills he developed in the private sector and apply them towards helping immigrants achieve their dreams. In just a short time, Mr. Westcott has made a difference for numerous immigrants in the Greater Houston area. As a Houston immigration lawyer that is part of the American Immigration Lawyers Association, Mr. Westcott is on a mission to provide qualified, effective legal representation for the immigrants in the area. Contact Mr. Westcott today about your immigration case. Do not try to navigate the immigration system alone. He will fight for your rights and work to ensure the best possible outcome for your case.